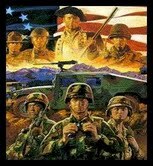 The House passed the FY2012 Defense Autho­riza­tion Bill (H.R. 1540) ear­lier this week. As expected the final ver­sion of the House bill calls for a 1.6 per­cent mil­i­tary pay raise, the same amount the White House requested. This is a strong indi­ca­tor that their will likely be lit­tle drama sur­round­ing the 2012 mil­i­tary pay increase. How­ever, it is impor­tant to note that the DoD may push to freeze or reduce mil­i­taryin the future in order to meet the President’s demand that DoD cut their bud­get by $400 bil­lion dol­lars over the next ten years. Estab­lish a reg­istry of inci­dents in which ser­vice­mem­bers were exposed to occu­pa­tional and chem­i­cal haz­ards dur­ing deploy­ments. Require an assess­ment of health risks for per­son­nel exposed to open-air burn pits. Allow mem­bers of the Indi­vid­ual Ready Reserve who have been called to active duty for at least one year since 9/11/01 to pur­chase premium-based TRICARE cov­er­age on the same basis as mem­bers of the retired reserve. Next is the Senate’s turn to take action on the defense bill. Accord­ing to MOAA, the Sen­ate Armed Ser­vices Com­mit­tee is expected to begin craft­ing its ver­sion of the bill in mid-June. After that the House and Sen­ate lead­ers will form a con­fer­ence com­mit­tee to work out the dif­fer­ences between the two ver­sions.